Elizabeth Cash. Kathy Bidus: Mammary cancer is very curable in beagles. Good luck to Lizzy. Neal and Ruth Zielaskowski: In loving memory of our girls (Katie, Emma, & Sally). Mary Katherine Gillan. Lizzy will require surgery to have a number of mammary masses removed. Her surgery will be scheduled in the next few days. 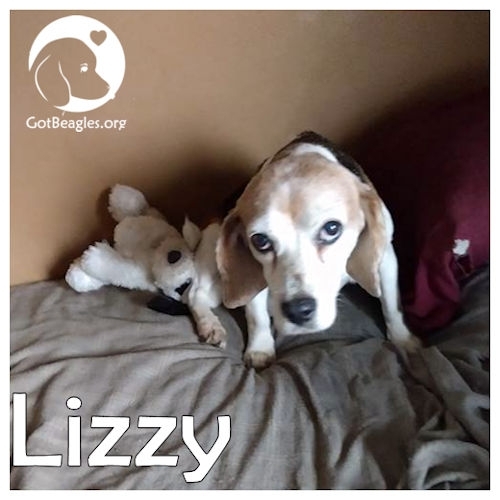 If you would like to sponsor Lizzy for her treatment, please click on the “Sponsor Me!” button.